How do I Create a Running Schedule? Creating a running schedule can help a person stay motivated. A running schedule can be increased over time. To avoid overuse injuries, it is important to take days off. Creating a running schedule can be useful not only to stay motivated but to keep track of how the progress is going. It can also be better for those who are just beginning to run or haven't done so in awhile to make sure they don't overdo it. The schedule can be a great motivational tool, especially in the beginning when runners may struggle to get through the discomfort they may feel. Before creating a running schedule, especially if training for a marathon, get medical clearance first. Explain that it is important to be in peak condition before running. If your doctor performs any tests, make sure to wait to get started until getting the results back. The first thing to do when creating a running schedule is deciding when to run. 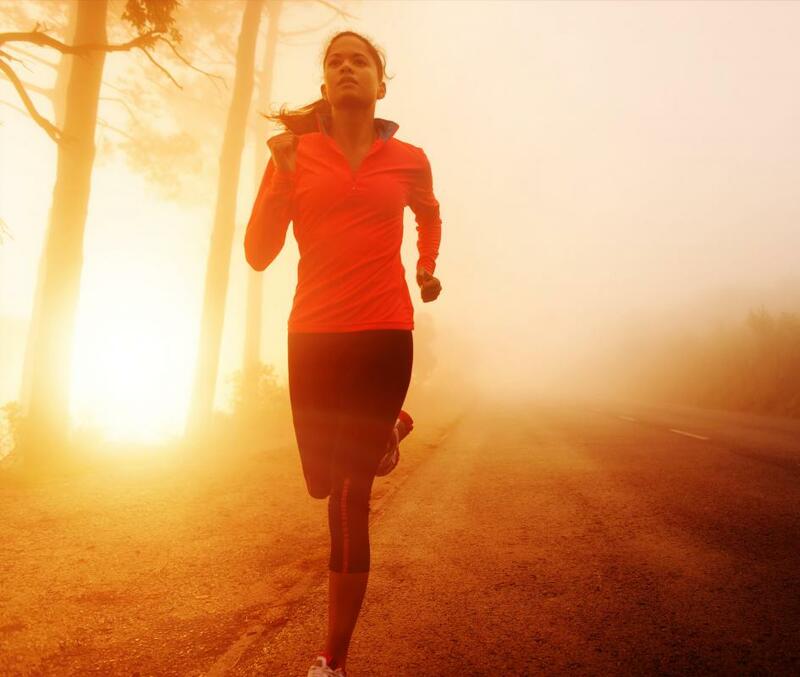 Some runners prefer going in the morning while others prefer a night run. Whatever time the run takes place, make sure to use reflective pieces of clothing or accessories for safety. Before beginning a running schedule, it is important to walk first to get the body used to the new exercise. Plan a short walking route around the neighborhood. Pay attention to the body during the walk; if any feelings of weakness or illness creep up, it is best to cut the walk short. When first starting a running schedule, stick to around 20 minutes. In the beginning it is important to walk more than run, for example, walking eight minutes and running two. Pushing too much can only mean causing potential injury or other health problems and create setbacks instead of improvements. It is also vital to do a walk and run routine every other day for the first two to three months; doing it every day could be too much. Every few weeks evaluate the previous weeks and, if comfortable, add minimal time to the running time and remove time from walking. Time usually matters more than distance. Increasing running time too much at once could be detrimental; in this case, having patience is much more beneficial. Starting out running right from the beginning could prove to be a huge error in judgment. It doesn't mean that the body will build up to running quicker. With time, the body will gradually build up the tolerance to have a good run without the increased risk for injury. Upon returning, make sure to write down all the information about the run down, including how far and how long it was. How do I Choose the Best Running Schedule for Beginners? How do I Choose the Best 10K Training Program? How do I Choose the Best 5K Training Schedule? What is a Running Log? How do I Create a Weight Training Schedule?